Netflix, with its no-late-fee policy and huge inventory, was the ultimate in consumer-friendly companies. But in July, with its biggest competition, Blockbuster, in bankruptcy, Netflix raised the minimum monthly cost of its DVD-rental and streaming-video service 60%, to $15.98 from $9.99. The company tried to tell customers they were still getting a "terrific value." Customers told Netflix where to shove that value and began canceling subscriptions. 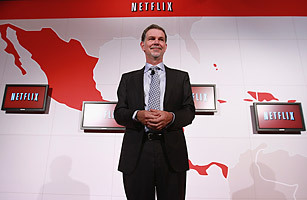 To repair the damage, CEO Reed Hastings announced in a surprise e-mail that Netflix was splitting in two, with a new company, Qwikster, taking over Netflix's traditional DVD-rental business. Netflix, though, had forgotten to secure the Qwikster name on Twitter, which was already in use by someone who liked sexual innuendo. Customers complained the split would make using the company's services only more complicated. Hastings aborted the split a month later. In all, Netflix shed at least 800,000 customers in the three months following the fee hike. The company's stock, once a highflyer, has plunged recently to $66 from a high of $304 in July. In November, the company said it was short cash and that it is almost certain to remain in the red through 2012.